“Beauty, understood and seen as something multi-faceted, must exist: beauty that is pleasant -or not!-, colourful, simple, austere, arid, rebellious, … of whatever kind, but beauty”. With this declaration of intentions in 2012, Bernat Vivancos stated his firm desire to express himself by means of music that is communicative, clear and profound, in which the composer’s occupation – unlimited by prejudices and free of intellectual conjectures – is at the service of the search for the Sublime. To open one’s eyes and let oneself be caressed by Schubert’s Ave Maria is to discover the effect of harmony in the minor key which, after the surprise of the initial disruption of expectations, becomes delectable in the unexpected expressive quality of the melody. Mature innocence and a playful attitude disclose the origin of this composition: “I wrote it for my wedding… I found it ready made”, says the composer with a grin – proof of his fascination for, and natural acceptance of, the mysteries of creativity. This attitude turns our conversation into an opportunity for sharing; with attention, affability respect for the work of others, and a sense of humour which is bright and funny. To close one’s eyes and submerge oneself in the reworked Ave Maria by Bach becomes an experience that evokes a deep-rooted devotion to Maria, and recreates the atmosphere of fertile, creative silence to which the composer retires – sheltered beside the fireplace of his family’s stone-built house in a village in the foothills of the Pyrenees – in order to write. The contrast of textures between the demanding unending vocal lines of the cantors, the arrangement in arpeggios of the organ in form of delay, and the spectrums which rise vertically, make up a transparent work steeped in serenity. Loving is knowing. 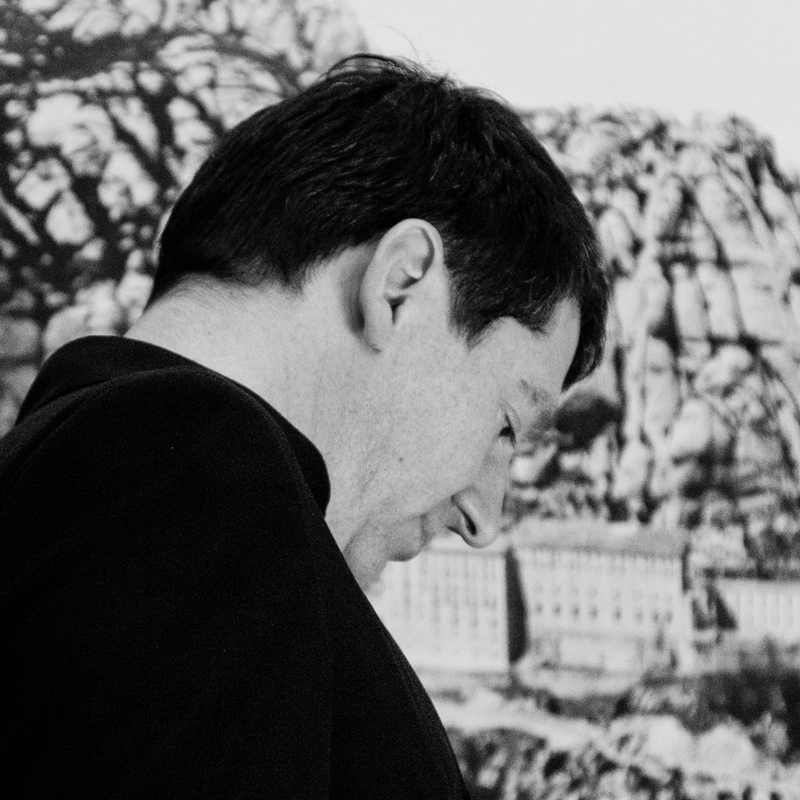 Bernat’s double experience of Montserrat, first as a choral scholar and later as director, makes him a composer who knows the Escolania Choir from a point of wisdom (‘saviesa’, in Catalan) – understood as ‘sapere’, to savour, to taste, to appreciate -, true enjoyment which has led to his deep love for this institution. Witness to this is Fundamenta eius – written for the celebration of the dedication of the Basilica – which emits a gentle fragrance, full of enchantment with the mountain of Montserrat. Powerful chords given to the organ that use modes not exempt from suggestions of spectralism, a concise soprano solo which is highly chromatic and extremely difficult – resolved by the soloist with the conviction and confidence provided by a solid musical education -, and formal conciseness define this small pearl of Montserrat’s recent repertoire, a piece in dialogue with the work of Fr. Àngel Rodamilans of whom Vivancos has become an enthusiastic admirer and champion. A dedication to Fr. Ireneu Segarra – venerated for his teachings – heads the score of Salve Regina. With an accompaniment for two trumpets, four trombones and organ, the work begins majestically with a phrase characterised by an augmented fourth interval, which gives way to a treatment employing a wealth of resources: the cantabile of the Ad te, the delicacy of the Et Iesum, and the ferocious instrumental interludes. The final section, however, is especially captivating with a fascinating proliferation of resonances; a field of research which has led to a personal style based on the idea of circular time, magmatic textures and the placing and movement of sound. 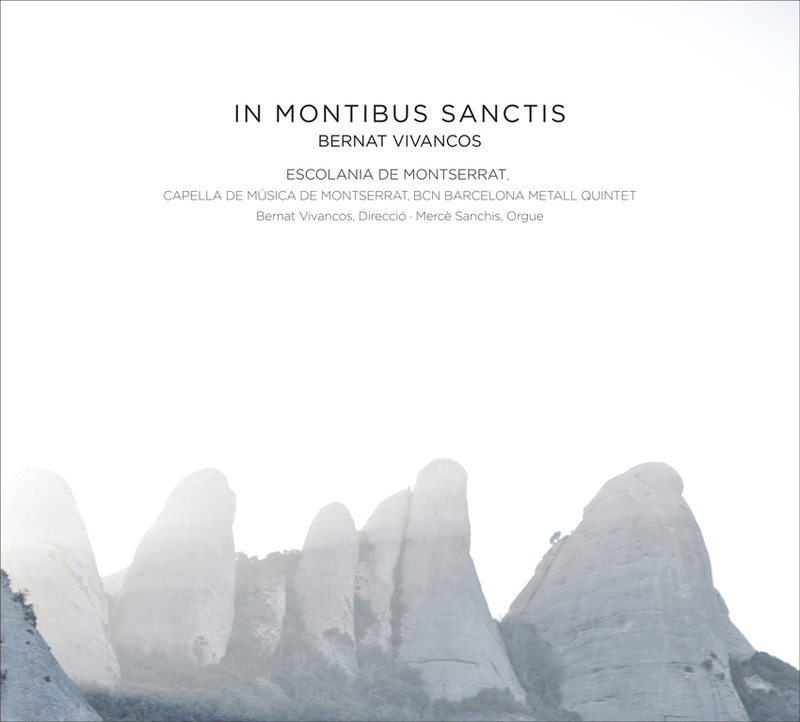 The blessing of the Basilica’s new and magnificent organ, celebrated in March 2010, was the occasion for the first performance of the Montserrat Salve Cantantibus organis, included in the recording. It contains free rhythm sections, an impressive instrumental section brilliantly performed by the organist Mercè Sanchis, wild final clusters which encode the C4 bourdon dedicated to Fr. Cassià M. Just, and tubular bells which open and close the Salve; a piece in which attentive listeners may perceive reminiscences of El Virolai which the Escolania sings each day to the Mother of God, much to the delight of thousands of pilgrims from around the world. Bernat is distinguished by a valuable and rare feature: the ability to listen. Whether in a conversation or rehearsal, at his work table, directing the choir, or in any of the varied situations of everyday life, he is in a state of alertness impregnated and nourished by all that surrounds him and which – thanks to his impeccable craftmanship, the fruit of composition studies with Guy Reibel in Paris and Lasse Thoresen in Oslo – flows, refined and precise, into his works. Now, like a true kapellmeister, he transmits the value of silence and accurate listening to the children of the choir. 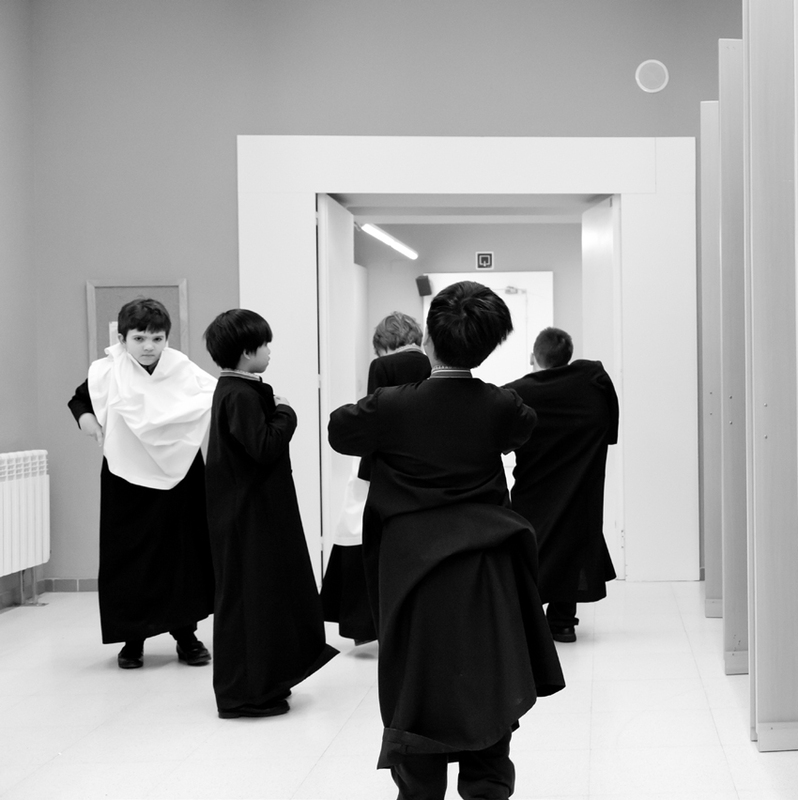 Out of this spirit of openness towards others comes Welcome, conceived specifically as the entrance piece for the concert programmes offered by the Escolania. Darkness and stillnes give way to light and beauty in sound, a scene heightened by the tenderness that emanates from the children’s concentration as they light their candles while singing the welcome cluster. Bernat’s particular polychoral practice offers an outstanding addition to the contemporary choral repertoire, and is reflected in the version for 12 voices, metal ensemble and organ in Es ist ein Ros entsprungen by Michael Praetorius. In the central section, a four-part canon develops melodic superimpositons, resonant in nature, which emerge from and fuse organically in the bass. The resulting harmony, while never losing touch with the original reference of the German composer’s work and enriched by delays in the entrances of each voice, builds an atmosphere of suggestive musical ambiguity. The compact disc – which concludes with the carol Santa nit, arranged for several languages – excels as a jewel of quality recording: top-class microphones which permit the hyper-realistic recording of sound, natural mixing in real time, and a methodical study of the positioning of choir and instruments in the space. This philosophy invites one to plunge into the ocean of sounds that is the music of Bernat Vivancos and the Escolania’s captivating voices. At the same time, the experience of listening is apprehended at its most essential, so that the listener is enveloped in that condition which T. S. Eliot describes as “the moment in and out of time”, while the CD’s objective, which Monserrat itself irradiates as a precious source, is never forgotten: Beauty.